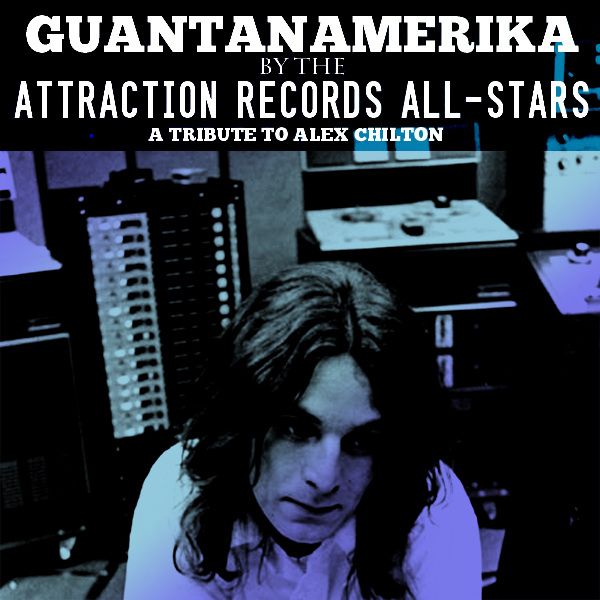 More free music from Attraction Records! 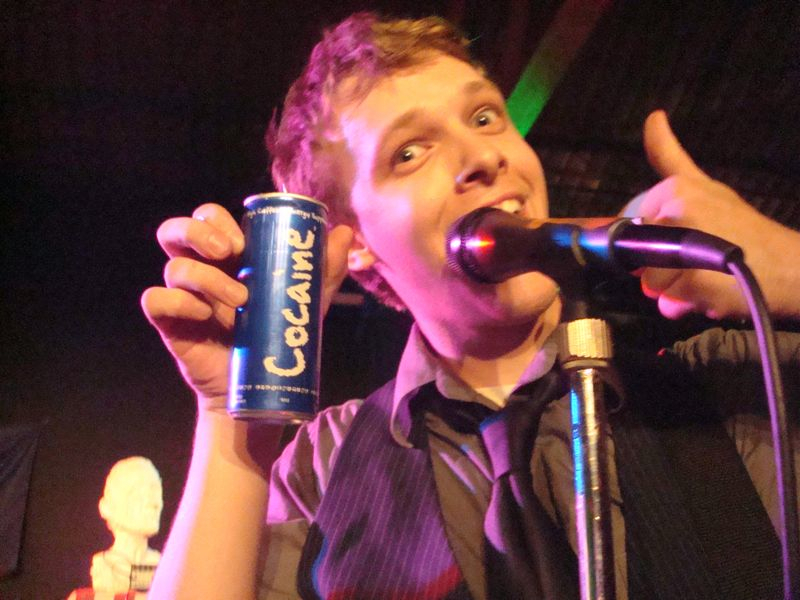 Once again, we’re bringing you free tunes for your listening pleasure! So the Darts are going to be going on tour this August. They’re going to be hitting the road and running all the way to New York City and back again. We’ll be posting the exact dates and locations soon, but stay tuned if you’re a Darts fan outside of the Great Lakes State. We always like it when people give us a pat on the back, and Revue West Michigan apparently felt like giving us one. 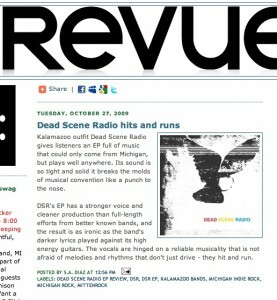 Kalamazoo outfit Dead Scene Radio gives listeners an EP full of music that could only come from Michigan, but plays well anywhere. Its sound is so tight and solid it breaks the molds of musical convention like a punch to the nose. DSR’s EP has a stronger voice and cleaner production than full-length efforts from better known bands, and the result is as ironic as the band’s darker lyrics played against its high energy guitars. The vocals are hinged on a reliable musicality that is not afraid of melodies and rhythms that don’t just drive – they hit and run. Want to hear what they’re talking about? 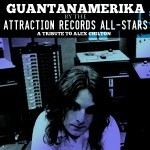 Check out the Attraction Records webstore and pick up a copy. Only $6! The EP has been seeing positive reviews all around. As always, hit up the Store to order yourself a copy. So the EP has been available at shows for a while now, and we’re seeing pretty positive responses from a lot of people. If you’ve bought a copy, thank you! If you still haven’t, head over to the store and pick one up! 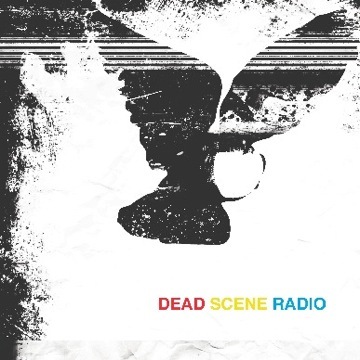 If you check out Dead Scene Radio’s page, you can see some more photos of the band, including ones from their show last month with THE HARD LESSONS. Jake from Dead Scene Radio and Augie from the Hard Lessons both did Cocaine on stage (as evidenced above), and everyone played their asses off. We even decided on a couple of the new songs that MUST go on the bands full-length record. Want to hear some of the bands new songs? Well, they played some of them on the radio recently. Three new songs from their performance on Kalamazoo’s own WIDR are up on the band’s MySpace page. While you’re there, check out dates for upcoming shows in (among others) Grand Rapids, and a show in Milwaukee with ARCTIC MONKEYS. Oh yeah, that’s right.